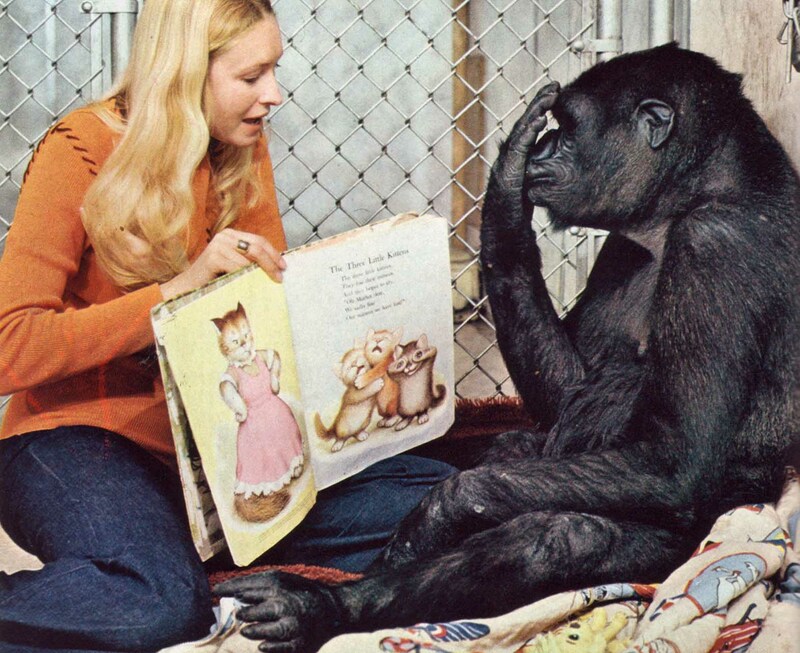 Didn't get around to posting a review today, but I did come across a copy of National Geographic --circa October 1978-- featuring a photo by Ronald H. Cohn of Koko enjoying Garth Williams' Three Bedtime Stories. Awesome. Fitting, since Koko was a big fan of kittens. She befriended at least three: All Ball, Moe, and Tigger.